East Williston is a village located in Nassau County, Long Island, New York. 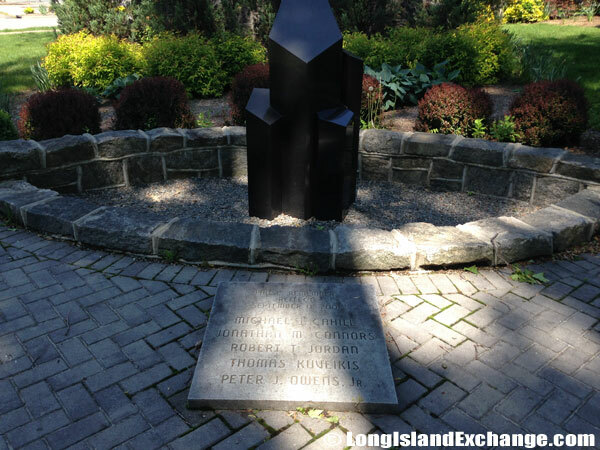 It is within the Town of North Hempstead. The neighborhood is rich in history, immersed in tradition, and whose residents are truly proud of the place they live. According to the 2010 census, there were 2,556 people, 842 households, and 711 families residing in the area. The median income for a household in the village was $151,923, and the median income for a family was $166,141. The latitude of East Williston is 40.758N. The longitude is -73.635W. It is in the Eastern Standard time zone. Elevation is 118 feet. 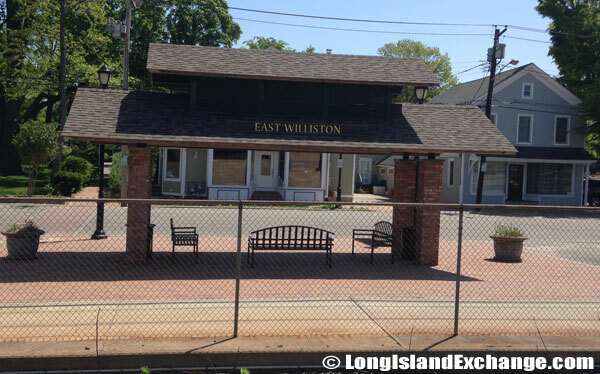 An area for waiting at the East Williston is the first station along the Oyster Bay Branch of the Long Island Rail Road, at Hillside Avenue and Pennsylvania Avenue. 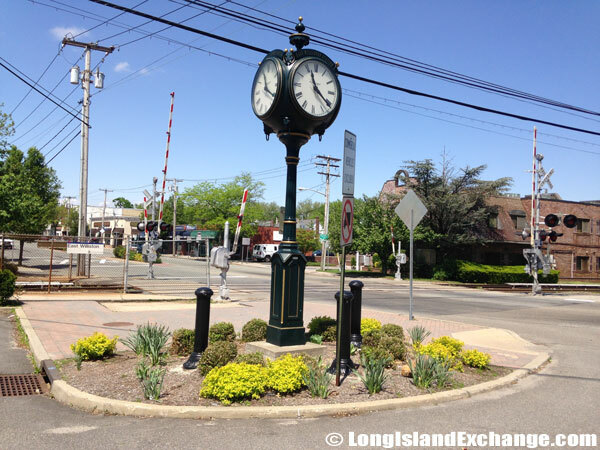 The four-faced train station clock for East Williston LIRR Station. In the 1800s, most of the farmland in East Williston was owned by the Willis family. 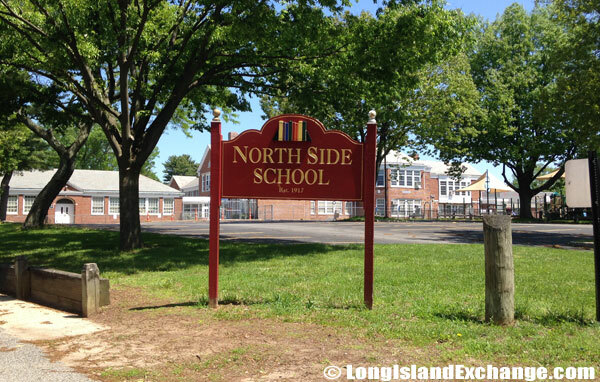 The community derived its name on “The North Side” because it was located on the north side of Hempstead Plains, the town’s creasing grounds. That name continued in use for about two hundred years. In the middle of 19th century, the name “Williston” came into use in deference to the many families named Willis residing in the village. In 1879, the name was finally changed to “East Williston”. 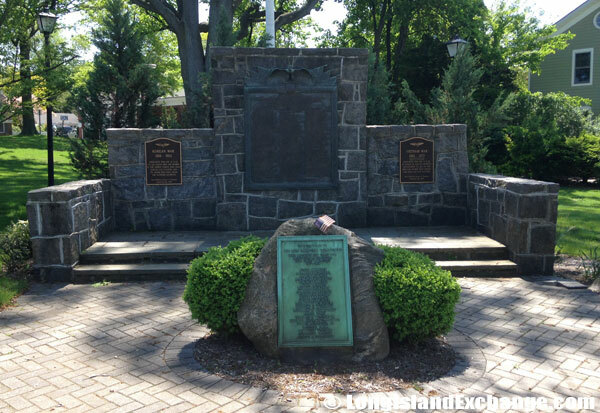 Plaques at the East Williston Memorial Garden called the Village Green across from the East Williston LIRR Station. Plaques at the East Williston Memorial Garden across from the East Williston LIRR Station. For clarification, East Williston is totally different with the Willis areas of upstate New York. The original borders of the neighborhood known as East Williston, extended west towards Queens to Herricks Road; north to I.U. Willets Road; south to the Village of Mineola; and east to Bacon Road in Old Westbury. The popular Long Island route, State Route 25B or Hillside Avenue used to be called East Williston Avenue, since it connected Queens with East Williston. In 1926, a small portion of the area became the incorporated Village of East Williston. The Incorporated Village of East Williston Village Hall. The original Village Hall building was built in 1860 and was taken over by the village in 1928 after it was incorporated. 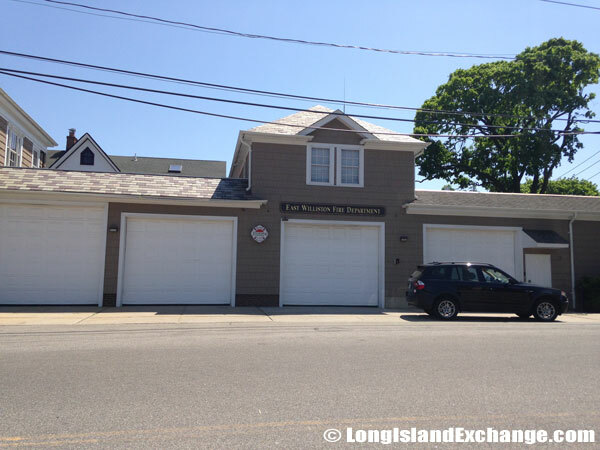 The East Williston Fire Department (EWFD) first organized fire services in East Williston as the East Williston Hook and Ladder Company, established in the 1890s. The racial-makeup of East Williston comprises of 95.25% White, 0.36% African American, 0.04% Native American, 3.36% Asian, 0.08% Pacific Islander, 0.24% from other races, and 0.68% from two or more races. 23% of East Williston residents were Irish ancestry, and 13% were German. The area is served by East Williston Union Free School District. The district guarantees that all students can obtain proper learning from their staff with each of them deserving high quality instruction in the classroom. The educational program is geared to encourage critical thinking and a love of learning. 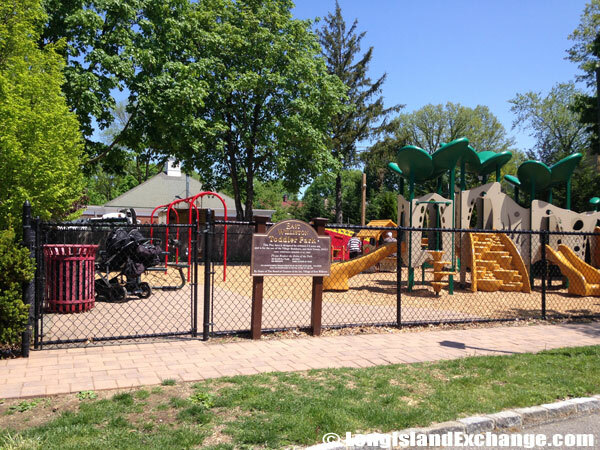 The East Williston Toddler Park, the first part of a master plan focusing on facility and infrastructure needs in the East Williston community. The East Williston Public Library is a factor in providing residents with opportunities for growth, lifelong learning, recreation, and more importantly to stimulate children’s interest in and appreciation for reading. The Concert on the Green brings every resident out to enjoy an evening with their neighbors and to listen to the offerings of the Wheatley School orchestra. The annual Ragamuffin Parade on Halloween is an event that brings out everyone’s imagination. 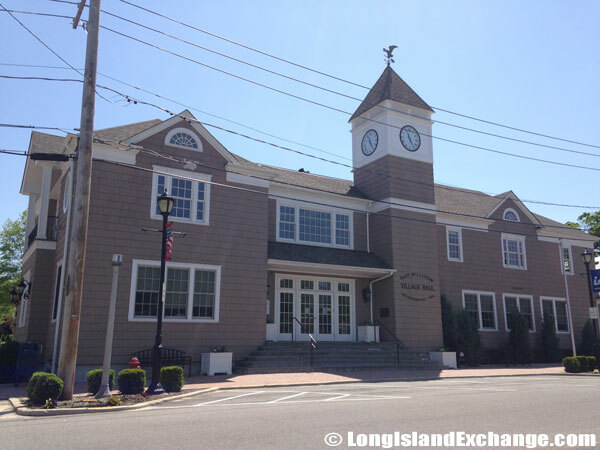 Throughout the years, East Williston has remained one of Long Island’s most pleasing communities. 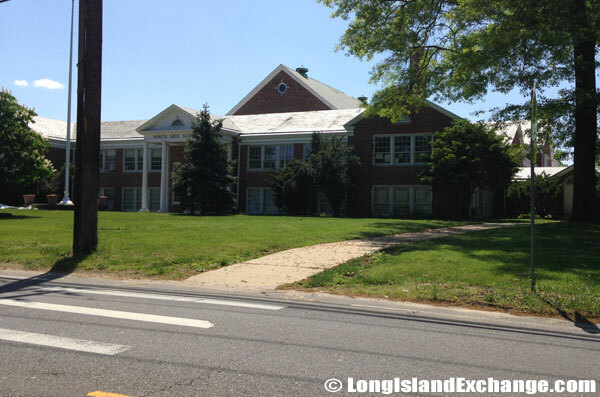 The East Williston North Side School, part of the East Williston Union Free School District which serves all of East Williston and parts of Roslyn Heights, Albertson, Mineola, and Old Westbury. 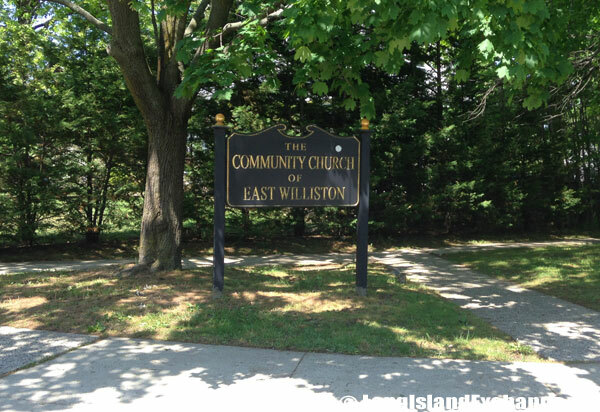 The Community Church of East Williston, a protestant based interdemoninational congregation.